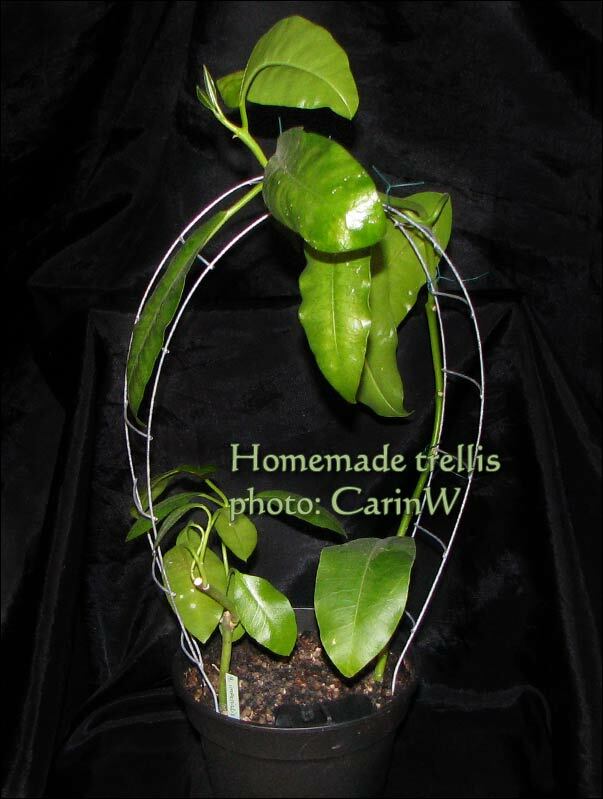 One of the reasons I haven’t taken proper care of my hoyas is because when I repot small plants I want to have a trellis from the start. Good trellises are hard to find and usually expensive to buy but I found a good and inexpensive variety at a garden centre. Have a look at the picture to the right and you can see that it’s a net made from galvanized net. I cut the net with a pair of nippers into appropriate size and make it into a tower. It’s easy to make any size of tower depending on your pot. So what to do but to come up with a quick version of the galvanized net. 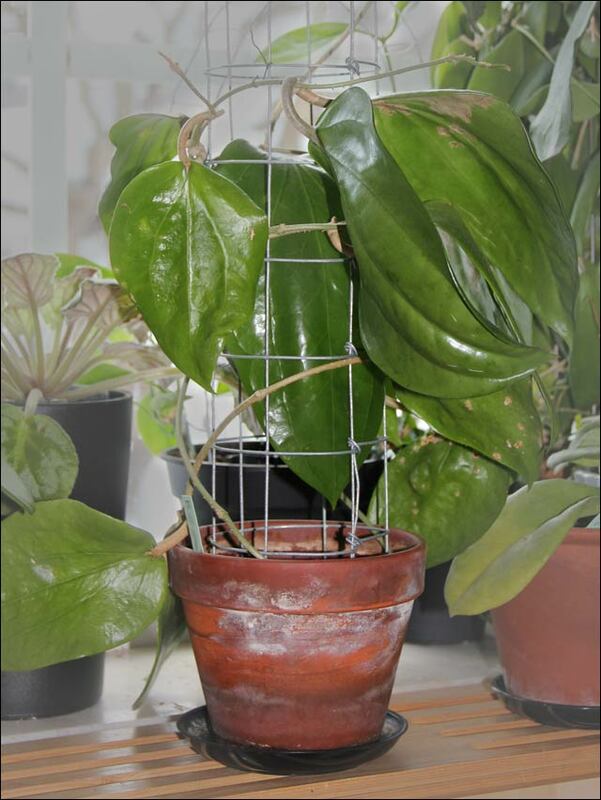 I cut out a strip of net usually only one square in width or maybe two if I anticipate the hoya to become heavy, top left picture. I leave some of the vertical bars in either end to form some kind of feet for the trellis. I grab the strip and bend it by moving the “feet” together forming almost a circle. 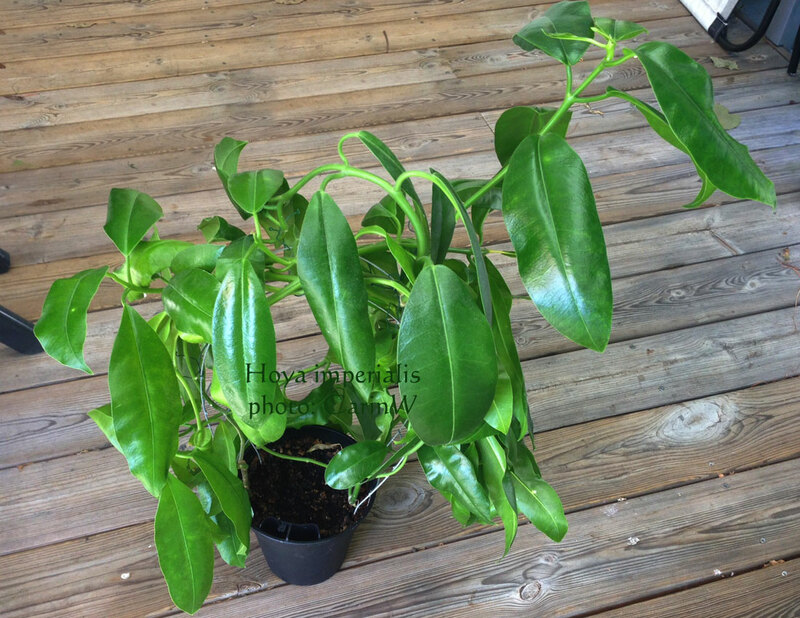 After that I put the feet down into the pot and adjust it a bit before filling up with soil and putting in the small hoya plant.